KORAPUT, India, Feb 1 2013 (IPS) – Last monsoon season, 65-year-old Sunadhar Ramaparia, a member of the Bhumia tribe in the eastern Indian state of Odisha, mixed indigenous crops like ‘para’ paddy, foxtail millet and oil seeds in his upland plot. Deforestation and climate change have resulted in erratic rainfall, shrinking water bodies and severe soil degradation in Ramaparia’s hamlet of Tentulipar, located in the Eastern Ghat region of Odisha’s Koraput province, leaving scores of farmers vulnerable to extreme hunger. But the Bhumia tribe is simply falling back on the wisdom of their 3,000-year-old traditional farming systems to ensure a year-round supply of healthy food. The tribe uses local seeds from the biodiversity-rich Eastern Ghats, a discontinuous mountain range that runs parallel to the Bay of Bengal along India’s eastern coast at an average of 900 metres above mean sea level. The agricultural system here has adapted to the intensely hilly terrain, built resilience to the changing climate, and developed a natural pest-control mechanism. Tribal farmers grow hardy crops on the highlands, and more water-intensive crops on the midland and low-lying areas. Though the government of India has offered the tribe subsidised hybrid paddy, which yields about 3,700 to 4,800 kilogrammes per hectare – a much larger haul than the 2,400 to 3,300 kilogrammes farmers can expect from traditional seeds – Ramaparia and his 20-member family have no intention of abandoning their indigenous crops. “The rice from government seeds not only has no taste or aroma, they demand a lot of costly medicine (chemical fertiliser and pesticides), and they give diseases to those who consume them,” Ramaparia told IPS. “A lifetime of eating our own grains has kept an old man like me strong, let any young man try arm wrestling with me,” he challenged jovially, looking around at the assembled villagers. This is not an isolated example of a single tribe holding out against chemically altered seeds. According to the 2003 India National Sample Survey — based on which the National Policy for Farmers (NPF 2007) and the agricultural programmes of the 11th Five Year Plan (2007-2012) evolved — 69 percent of India’s 1.2 billion people are rural. Tribal communities constitute 10 percent of the total rural population; of this, roughly eight percent follow traditional agricultural practices. According to the National Sample Survey, 46 percent of farmers use the government’s hybrid seeds, while 47 percent use “saved” seeds. According to Saujanendra Swain, a senior scientist with the Jeypore-based M S Swaminathan Research Foundation (MSSRF), “Multi-cropping, where up to six crops are cultivated together, provides dietary diversity. An MSSRF study of seven tribal villages in 2009 found that 80 percent of the tribal community favoured a crop mixture of hardy millet and pulses, which promised a high degree of food security. Harvesting starts in September, with early-maturing finger millet, and ends in January, with the harvesting of pigeon pea. The process requires very light labour – at the start of the monsoon seeds are planted in shallow furrows filled with cow manure and left to grow by themselves. In smallholdings, women form the backbone of this practice. For 46-year-old Chandra Pradhani, a tribal farmer in Nuaguda village, the three buzzwords that define the tribal system are: organic, recyclable and sustainable. These principles are reflected in the practices employed — food and fuel products are grown in their natural environment, using no artificial inputs, and hand-gathered for consumption; agricultural waste products are used for crop treatment and pest control; and seeds are preserved in “gene-seed-grain banks” for the next generation. During the July and August monsoon months, the leanest in terms of food availability, tribals forage in the forest for “green leafy vegetables and mushrooms”, a farmer named Gari Mathabaria, busy making puffed rice that she will barter at the weekly market for a measure of paddy, told IPS. “Seasonal berries and fruits form a good part of our food, though their quantity is declining as forests are shrinking,” she lamented. Pulses, which comprise a minor part of the local diet, are grown as a cash crop. Vegetables are confined to backyards where local beans form the lifelines of many farming communities. These practices need not be limited to the Eastern Ghats. According to the Indian National Sample Survey, 60 percent of the country’s 140 million hectares of sown farmland are rain-fed and can easily replicate similar traditional farming systems. The Eastern Ghats has a long history as a biodiversity hotspot. Numerous rice varieties originated in the Jeypore “tract”, or valley, in Koraput some 3,000 years ago. Human interference with this delicate ecosystem and the industrialisation of agriculture have, however, destroyed much of the diversity. A 1950 survey by the Central Rice Research Institute found 1,750 local paddy varieties. In 1990, only 40 years later, the MSSRF could trace only 324 varieties. “Now an informed guess is that 100 varieties are perhaps available,” Swain told IPS. MSSRF also recorded eight species of minor millets, nine species of pulses, five species of oil seeds, three species of fibrous plants and seven species of vegetables in the region. Experts fear that these varieties, too, could soon disappear. “Just 15 years ago we recorded 25 varieties of local beans, called ‘simba’ – today, they have dwindled down to four,” Swain said. But things might be looking up. Last January, the Food and Agriculture Ogranisation (FAO) accorded the status ofGlobally Important Agricultural Heritage System (GIAHS) to the traditional agricultural system in the Koraput region. This status, akin to UNESCO’s World Heritage Site tag, grants farmers the support they need to continue to nurture and adapt their ancient practices to a changing climate and shrinking landholdings in order to ensure food security, without succumbing to modern agricultural practices. “The Koraput Agricultural Systems are both environmentally sustainable and climate smart,” M. S. Swaminathan, chairman emeritus of MSSRF and widely considered the “father” of India’s Green Revolution, told IPS. “Their relevance will increase with (more frequent) disturbances in climate. It is therefore appropriate that the FAO has recognised the system as a GIAHS,” he added. The decision comes not a minute too soon. In recent years, hybrid paddy and commercial crops have been elbowing the staple millet out of the local food chain, even though millets have been proven to have higher nutritional value than rice and wheat and can be consumed by adults and infants alike. Kalidas Biswas, deputy director of Jeypore’s Agriculture Department, told IPS the government should include millet in the country’s public distribution system, and, in districts where millet is a staple food, procure it for a “supportive price”. At present, tribal farmers are compelled to sell millet at low prices in local markets. 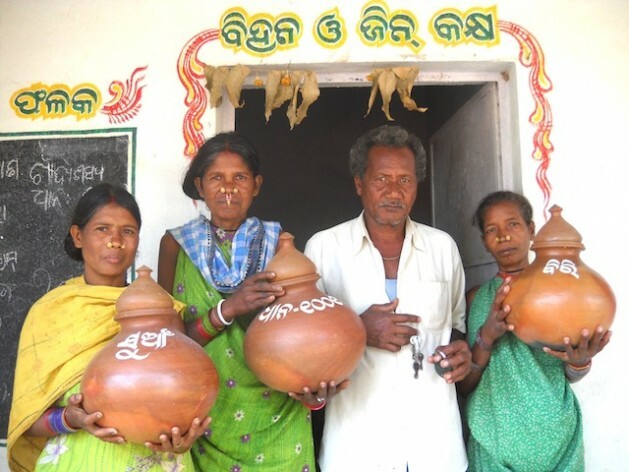 “This will motivate tribal communities to grow their indigenous cereal,” Biswas stressed.